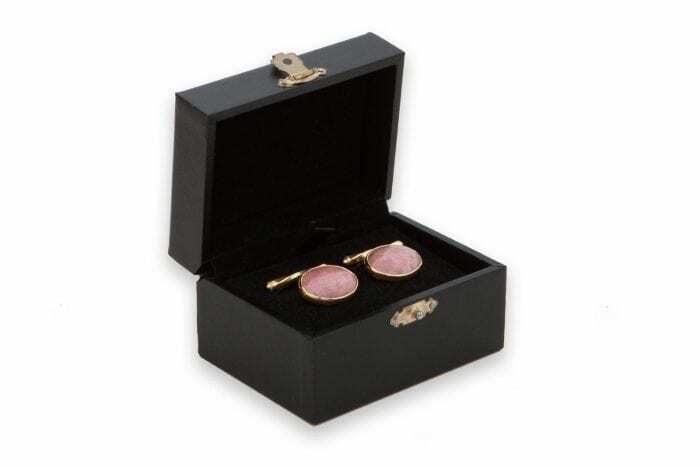 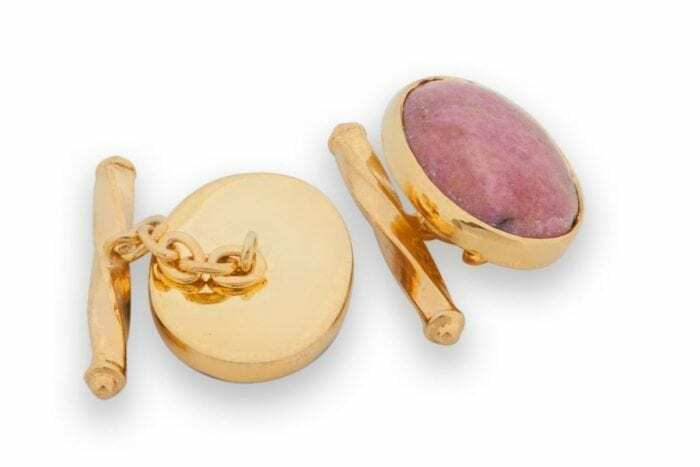 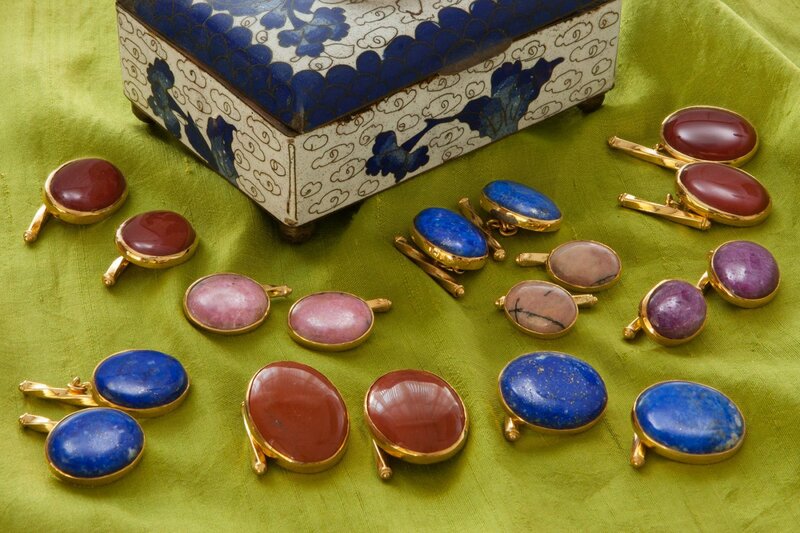 The two medium genuine rhodonite with excellent pink colour have been mounted to gold plated (5 micron 18k gold) sterling silver chain and shaft attachments to create these fun, fabulous and stylish cufflinks. 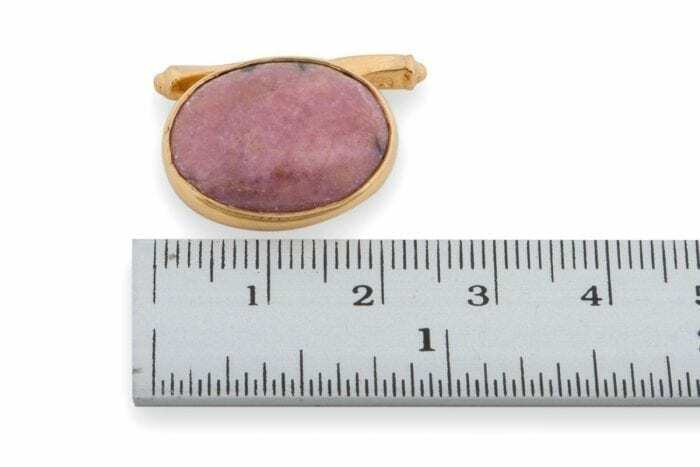 These ovals measure 20 x 15 mm (25/32 x 19/32 inch). 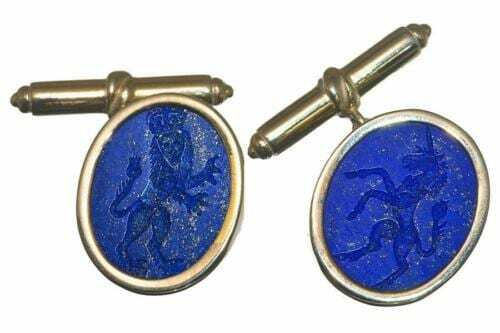 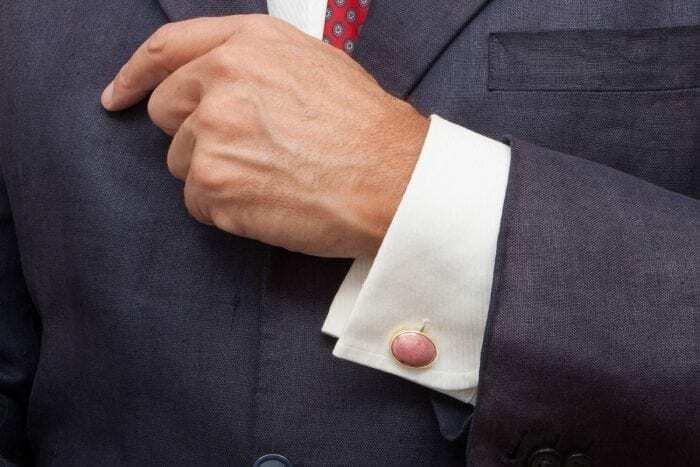 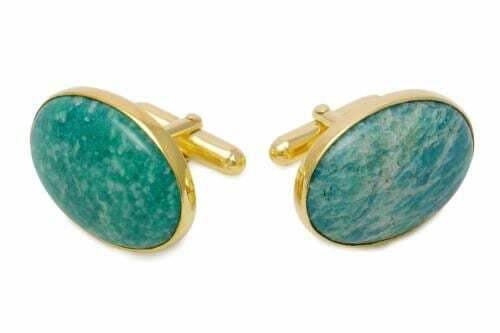 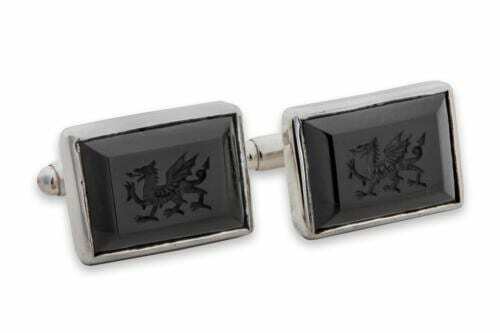 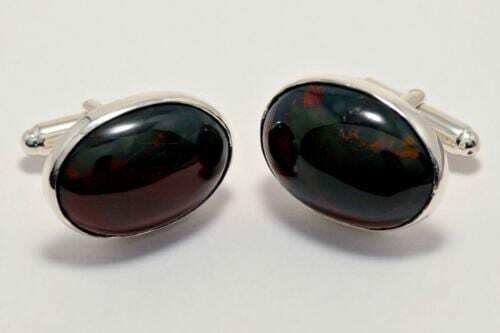 These medium, good, strong and very impressive Regnas rhodonite cufflinks are suitable for formal occasions or very smart casual wear.